FIAT is an Italian automaker known for their cute, mini-sized vehicles. 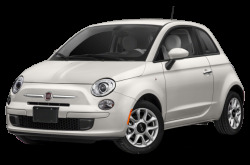 The 500 is the entry-level, ultracompact city car that manages to squeeze in four passengers. 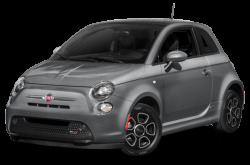 The Abarth version of the 500 is powered by a 160-hp, turbocharged 1.4-liter four-cylinder engine mated a five-speed manual or six-speed automatic transmission. For some fun in the sun, the 500C is the cloth-top convertible (“Cabrio”) version of the 500. It only comes as a two-door. 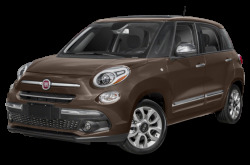 With more room for five passengers, the 500L is a subcompact, four-door SUV that has 22.4 cubic feet of rear cargo space. It can expand to 68 cubic feet with the rear seat folded down. Front-wheel drive is the only option. 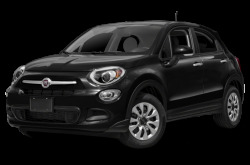 The 500X shares its platform with the 500L, but it has more rugged features. It is powered by a standard 160-hp, turbocharged four-cylinder mated to a six-speed manual. A more powerful 180-hp, turbocharged 2.4-liter mated to a nine-speed automatic is available. Front-wheel drive comes standard, but an all-wheel drive system with a disconnecting rear axle is available. Cargo room is 50.8 cubic feet with the 60/40-split rear seat folded down. Based on the Mazda MX-5 Miata's platform, the 124 Spider looks friendlier and less aggressive than its Japanese-designed counterpart. 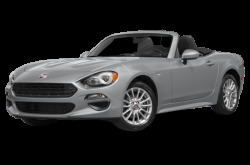 Under the hood, the 124 Spider is powered by a 165-hp, turbocharged 1.4-liter MultiAir four-cylinder mated to a six-speed manual or automatic and rear-wheel drive. 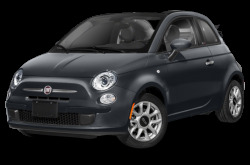 Exclusive to select U.S. states, the 500e is the electric version of the 500 hardtop. It has an EPA-estimated 87-mile driving range. It is powered by a 111-hp electric motor and 24 kWh lithium-ion battery. With a 240-volt Level 2 charger, the 500e can be charged in approximately four hours.